A chemical ingredient of cosmetics, soaps, detergents, shampoos and toothpaste has been found to trigger liver cancer in laboratory mice, raising concerns about how safe it is for humans, scientists said. Triclosan, a commonly used anti-bacterial agent added to bathroom and kitchen products, promotes the growth of liver tumours in mice fed relatively large quantities of the substance, a study has found. 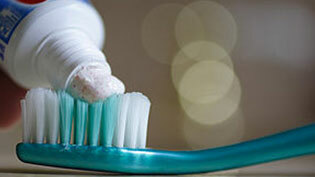 The research is the latest to link triclosan with cancer and liver disease, but other scientists have urged caution over the findings suggesting that they do not prove a direct causal link between the chemical and the ill health of people exposed to it. The study found that mice fed 3 grams of triclosan daily for six months suffered liver damage and were more susceptible to liver tumours induced by other carcinogenic chemicals. By comparison, one gram of toothpaste contains about 0.03 per cent triclosan, and six months in mice is equivalent to about 18 years in humans, the researchers pointed out. However, the scientists who carried out the latest study, published in the journal Proceedings of the National Academy of Sciences, said that the link between triclosan and liver cancer in laboratory mice is relevant to human health because the chemical may cause similar changes in people. “Triclosan’s increasing detection in environmental samples and its increasingly broad use in consumer products may overcome its moderate benefit and present a very real risk of liver toxicity for people, particularly when combined with other compounds with similar action,” said Professor Robert Tukey of the University of California, San Diego.